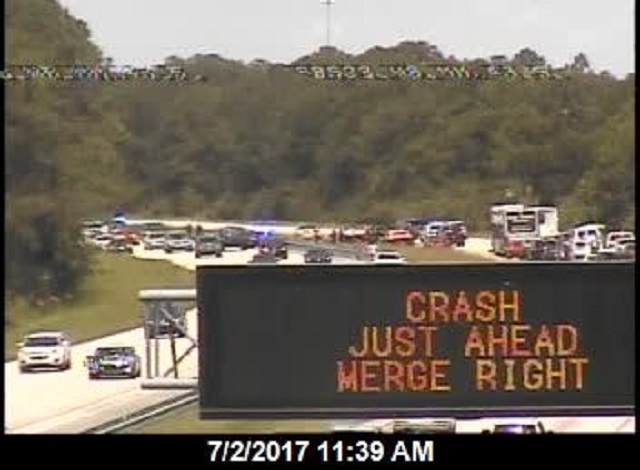 4 PM UPDATE: All lanes have re-opened to traffic. 12:25 PM UPDATE: One eastbound lane and one westbound lane have been opened to traffic. 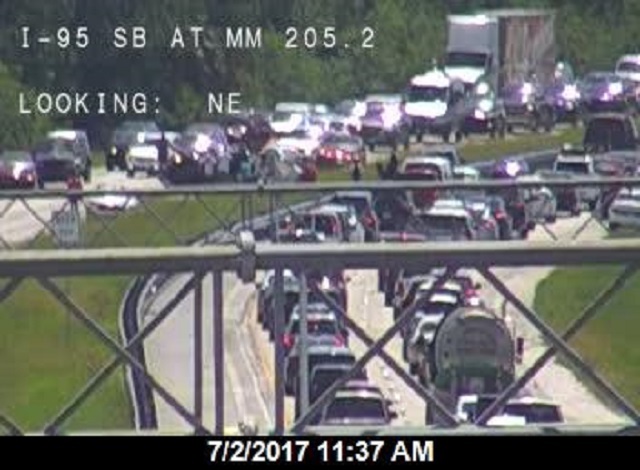 However, traffic is still backed up for several miles on the eastbound side of the Beach Line (State Road 528). 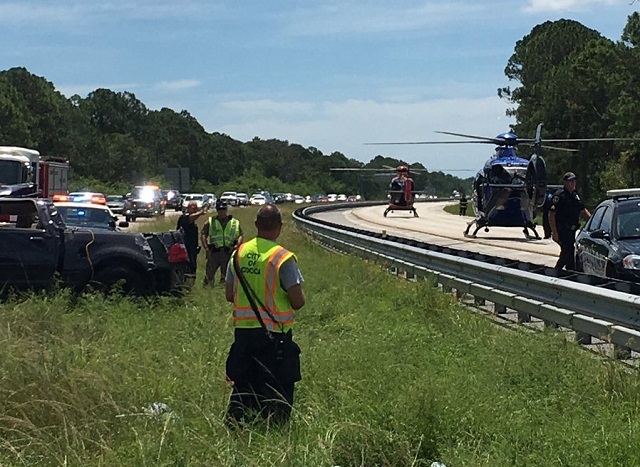 BREVARD COUNTY, Florida - State Road 528 is shut down near the State Road 524 interchange due to a rollover crash with multiple injuries that occurred around 11:30 a.m. on Sunday. Two helicopters are en route to the scene to airlift the most serious patients.